API Coupling refers to the steel couplings that used in connecting casing pipe and tubing. Also known by OCTG coupling, it is usually manufactured in seamless type, material grade same with the pipe body (API 5CT K55/J55, N80, L80, P110 etc), same PSL or providing higher grades than requested. Same heat treatment also applicable, except there is an special requirements. 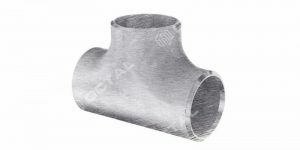 As we know steel pipe coupling is a short pipe or tube that with threads on both ends, used to connect pipelines. 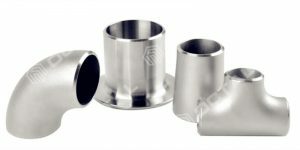 So It is a kind of pipe fittings that with threaded connection, the advantage is easy for pipeline maintenance or to replace the broken pipe. What is API coupling used for? To be simple, it is the internally threaded cylinder for joining two lengths of threaded pipe. With this purpose, API 5CT standard coupling plays an important feature in connecting casing and tubing line pipes. 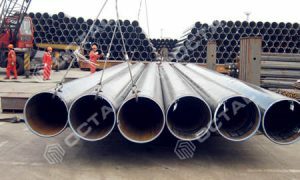 On the contrary, the biggest different with general steel pipe coupling is: API coupling manufacturing processes is more rigorous, requires a precisely control in the different processes as blew listed. As we told, one of the important figure of API coupling, that it shall be made of seamless, another is the same grade as the casing or tubing pipe body, and these materials are used for manufacturing the blank coupling. All of these could be taken as the unthreaded material used to produce an individual coupling. 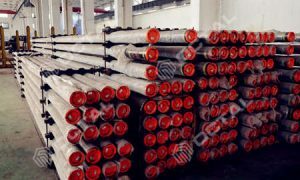 In case purchase order did not specified heat treatment types, J55/K55 casing or tubing coupling shall be furnished either in as rolled, normalized, normalized and tempered, or quenched and tempered. • J55 EU tubing shall be with Grade L80 type 1 special clearance couplings when specified on the order. • J55 and K55 BTC casing shall be furnished with L80 Type 1 couplings when specified on the PO. 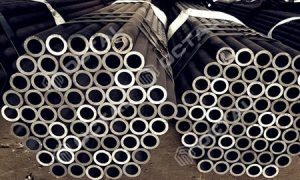 • N80 type 1 normalized casing or tubing pipe shall be furnished with either normalized and tempered N80 type 1 or N80Q couplings. • N80 type 1 and N80Q EUE tubing shall be furnished with P110 special clearance couplings, in case specified in the PO. 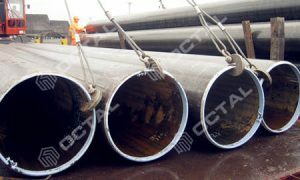 • N80 Type 1 and N80Q buttress casing pipe shall be furnished with Grade P110 couplings, in case specified in the PO. Mechanical properties of casing or tubing coupling shall comply to the clauses 7 and 10, covers test frequency, retest provision, etc. And this test records could be shown to third party inspector assigned from the client. There are several types covered in API 5CT standard for coupling specifications, classified in regular couplings, special clearance couplings, combination couplings, reducing couplings, seal ring couplings, and special bevel tubing regular couplings. Regular couplings diameters complied with API 5CT Tables C.32 to C.35 or Tables E.32 to E.35. Coupling bearing contact face inside and outside edges shall be rounded or broken, but shall not significantly reduce the width of the bearing face (dimension b), since less thickness will not be safe to support the pipe weight. The ends of couplings shall be faced exactly at right angles to the axis. 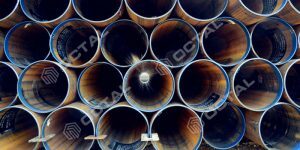 In case specified in the contract, special-clearance (reduced outside diameter Wc) couplings for buttress (BTC connection) casing and external upset (EUE connection) tubing shall be furnished. Unless otherwise specified, special-clearance external upset tubing couplings shall have a special bevel on both ends. The inside and outside edges of the bearing face shall be rounded or beveled. The ends (or root face when beveled) of couplings shall be faced at right angles to the axis. Special-clearance coupling dimensions and tolerances shall comply to as given in Tables C.33 and C.35 or Tables E.33 and E.35 and as shown on Figures D.3 and D.5. Color identification see clause 11. Combination couplings with different types of thread of the same specified size shall be furnished when specified on the contract. The minimum length and minimum OD of this coupling shall be sufficient to work with the specified size specified threads. on the two ends. Same with combination coupling, minimum length and minimum diameter of reducing couplings shall be sufficient to support the specified size and threads. 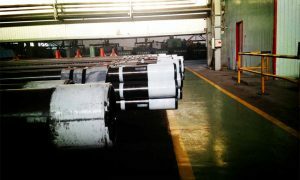 Sealing-ring couplings conforming to the requirements shall be furnished when specified in the PO. Grooves may be cut before or after threading at manufacture’s option. Grooves and threads shall be free of fins, wickers and ribbons that are loose or can become loose and fold into the thread dorm. Couplings shall be inspected after final machining of the groove. When specified in the order, special-clearance (reduced outside diameter) couplings for buttress casing and external upset tubing shall be furnished. Reducing coupling are used to connect two pipes of different diameter with the same or different types of thread on the two ends, and shall be furnished when specified on the agreements. The minimum length and minimum diameter of reducing couplings shall be sufficient to accommodate the specified size and type of threads. 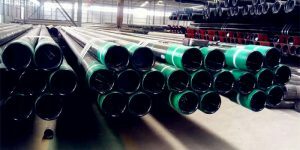 There are couplings for casing and couplings for tubing, the function is the same that to connect the pipe each other. On the other hand, still there are some differences between the two. 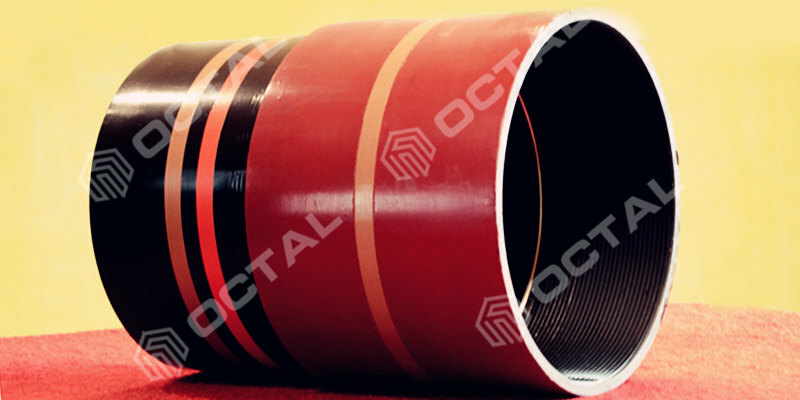 Normally tubing coupling OD maximum is 4 1/2”, as the tubing pipe is applied for the drilling activities (Inside the tubing is the sucker rod to drill/pump the oil), couplings type is more various and rigorous than casing, mostly used is thicken type upset coupling (Internal upset and external upset), for short is EUE coupling, it is the most favorable in tubing connections. Tubing with EU end (EUE) coupling connection also called UPTBG. 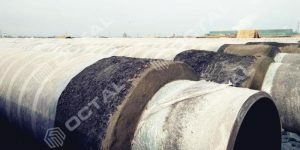 Because of the end of the tubing is thickened (upset), the connecting stress is better than buttress coupling. Buttress coupling another type used for tubing connections, it has the same thickness of the pipe body, called NU end (NUE)tubing or TBG. 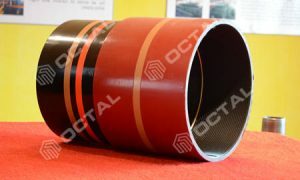 The oil tubing coupling can solve the problem of fatigue fracture in the existing coupling due to stress concentration. 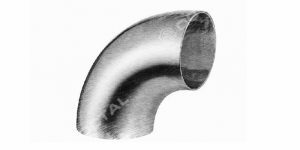 Oil tubing end is connected to the inside wall of the coupling in a tapered thread. The coupling body end and oil tubing are connected with same thread pitch flat thread. The coupling is not easy to produce fatigue fracture, and has good connection effect. It can prevent the accident of oil well pipe string break effectively. All three types has same thickness of the casing pipe body, just have different lengths. 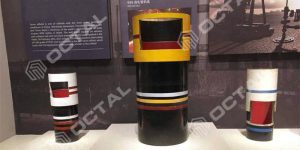 The oil casing coupling is a necessary piece used to connect the two casing. 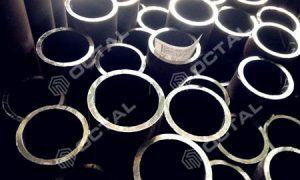 The coupling manufacturing method is the same as seamless pipe. The steel pipe ends with internal thread to connect with the upper and lower casing. In order to ensure the joint tightness, the precision of screw thread is strictly required. API Threads is for the threads manufactured and inspected under API 5B. Couplings shall not be expanded to provide required threads taper under API specifications. API 5B is the standard specification for threading, gauging, and inspection of Casing, Tubing and line pipe threads. API 5B covers dimensions, tolerances, and marking for API threads and the gauges that control the acceptance criteria for the threads. 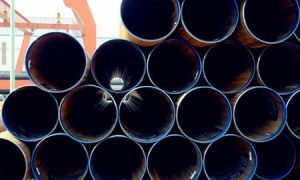 It includes thread element gauges, instruments, and requirements for the inspection of threads for line pipe, casing and tubing (round threads), and buttress casing connections. Thread dimensions shown without specifications (or shown as NA) are not subject to inspection of diameter, ovality, and addendum. Thread dimensions shown without tolerances are related to the basis for connection design and are not subject to measurement to determine acceptance of product. Thread inspection is taken at the point of production before shipment, including inspection at some point of intermediate, at destination, or by third party inspection company from buyer or the manufacturer. The manufacturer also has right to use other instruments or methods to control manufacturing operations; But material shall be accepted or rejected in case the inspection result complied to the standard or not. Thread inspection is performed using instruments designed to measure either the functional relationship of multiple thread elements or measure an individual thread element. The inspection requirements include measurements of standoff, diameter, ovality, addendum, taper, lead, height, and thread angel. It shall be noted that these specification are only applicable to threads quantity less or equal to 11 1/2 per inch (which 0.45 or less turns per mm). Ring and plug gauges are designed to measure the functional size of an internal or external thread. 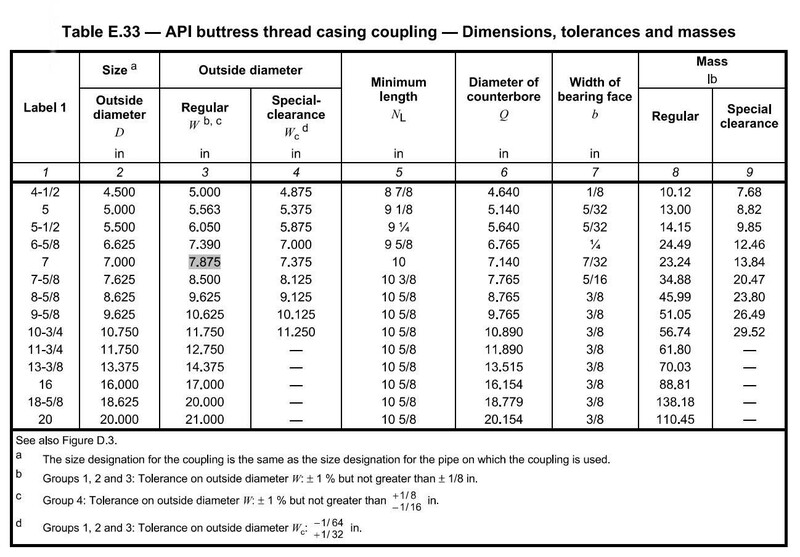 Individual thread elements listed in API 5B are measured with one or more specific instruments. 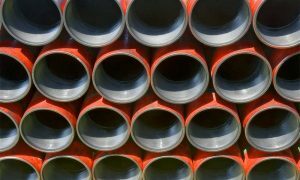 Premium connection is a higher class connection type for used to connect casing or tubing pipelines. The reason to use premium connection is due to it’s high seal performances, high strength, and longer durability. Premium couplings and premium threads are the patent product that only with manufacturer authorization it can be produced or sold. Below are common brands or models for the premium connections. • Vam Top, VAM FJL: Threads from Vam Services company. • Tenaris (TSH) wedge Series W511, W533; Blue Series; Hydril Series HYD CS. • Hunting Connections Seal-Lock-Flush (SLX), Seal-Lock Semi Flush (SLSF). 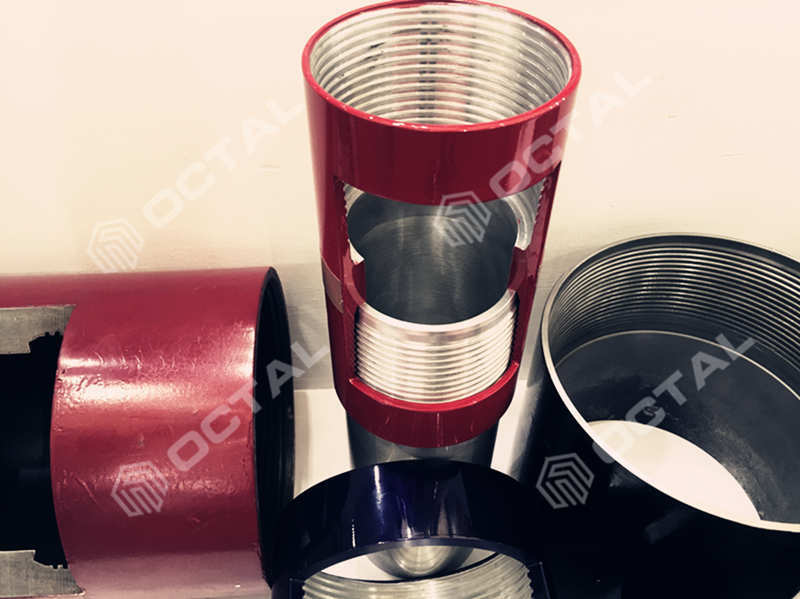 API casing and tubing coupling dimension ranges from OD 1.05 inch to 20 inch (26.7 mm to 508 mm), wall thickness normally ranges from 0.16 inch to 1 inch (4.2 mm to 22 mm). For Group 1, 2 and 3, Unless specified in the purchase agreement, coupling dimensions and tolerances shall be complied to API 5CT table C.32 to C.35 or tables E.32 to E.35. For Group 4: Not only internal machining could be done to Coupling, external machining also could be done to. 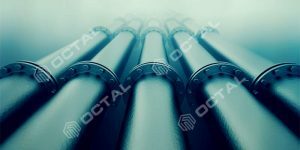 Except API couplings and threads shall comply to C.32 and C.33, or E.32 and E.33, in case other connections couplings or threads (Premium connection), couplings sizes shall be specified in the agreement. Here below we are listing two common API couplings dimensions: BTC for casing, and EUE for tubing. According to API 5CT specification, the internal and external surface of coupling shall not have folding, cracks, separation, scaling and other defects. 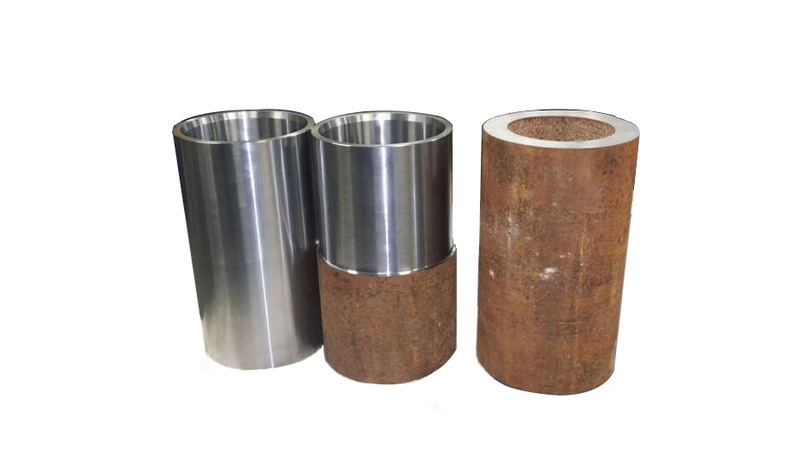 Tests for making couplings is similar with the casing and tubing, which includes: Tensile test, flattening test, hydrostatic pressure test, sulfide stress corrosion cracking test, grain size determination, transverse impact test and hardness test. 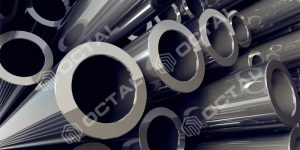 Octal supplies API couplings for casing and tubing connections, feel free to contact us for any of the request refer to the API or premium connections.